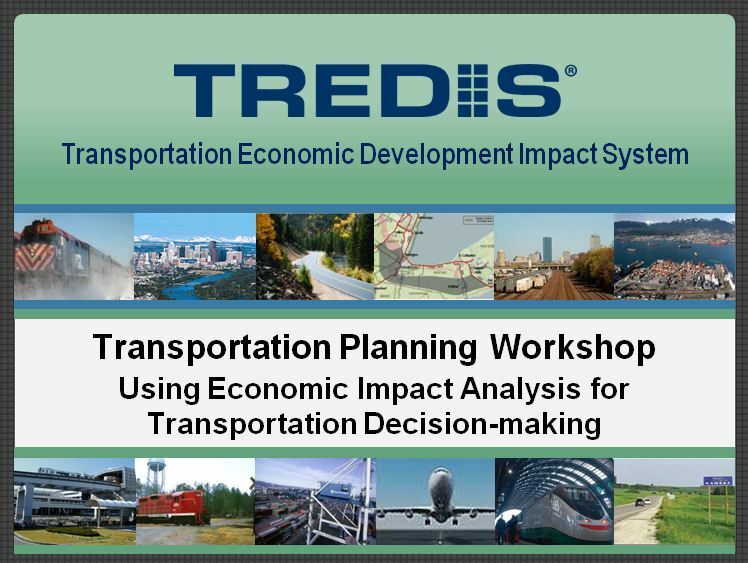 The national workshop was held on June 16, 2010, highlighting the new ways state Departments of Transportation (DOTs) and Metropolitan Planning Organizations (MPOs) are incorporating economic impact analysis into their program planning, project prioritization and selection processes. The 90 minute event featured five speakers representing DOTs and MPOs from across the country. These organizations differ significantly in their location and size, so each agency has developed a different way of applying economic impact analysis as part of its decision-making process. All of them have developed innovative, new approaches within the past year, using in-house staff to run the TREDIS economic impact analysis system. Each presenter described his/her experiences in conducting economic impact analysis and integrating it into their current planning process. This was followed by a recorded question and answer period.